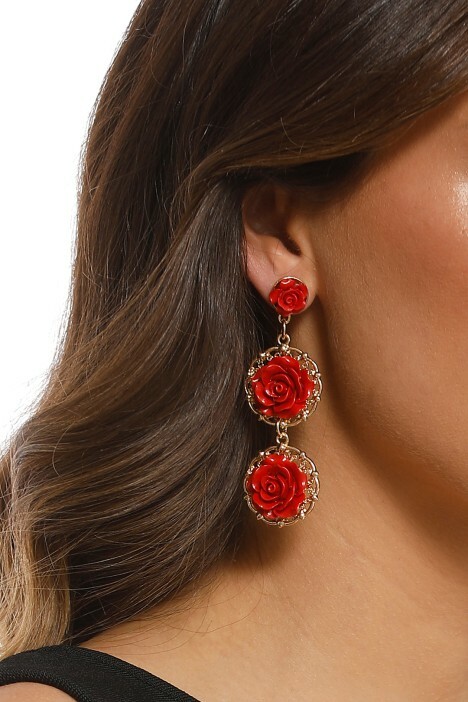 Take some time to smell the roses with Adorne’s stunning Rose Queen Earrings! Featuring dimensional roses on golden mandala tiers, this accessory is the perfect accompaniment to incite some modern nostalgia to your look! Add to your next hired date night or cocktail look for a romantic edge. Rent a red floral embroidered midi to keep in theme, and finish it off with a natural toned clutch. Read our Top 5 Makeup Looks to Channel with Red to get inspired by this statement colour!